It has been a while since anyone has taken Skype seriously, especially since WhatsApp started allowing you to video call people. 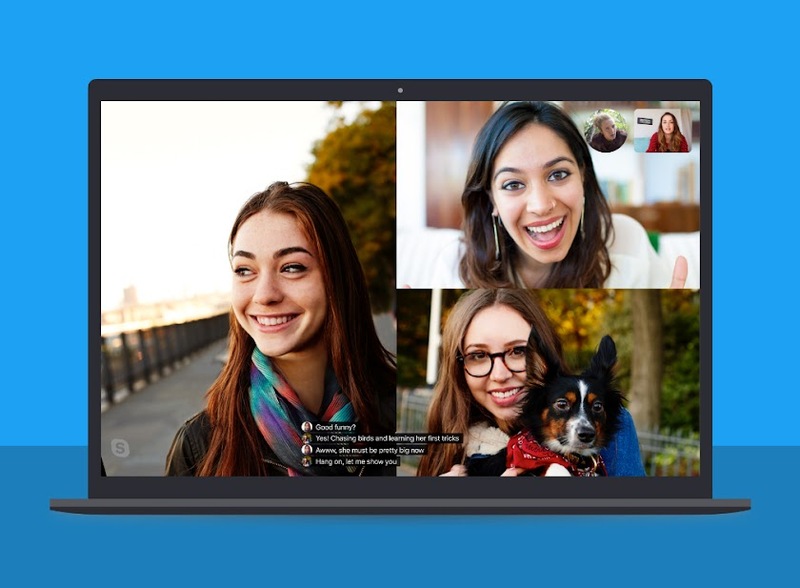 However, it seems that Microsoft has not entirely given up on their video calling platform. Rather, they are adding new features to it, probably in the hopes that one of these features will end up making the VoIP app seem more appealing to the average user. One of the latest features that Microsoft has added actually seems pretty revolutionary. This feature is that Skype video calls will now have AI generated captions which would allow you to better understand what the person you are trying to talk to is saying. It is pretty obvious by this point that calling someone and talking to someone in person can be quite different. The smallest connectivity issue could potentially end up giving you terrible voice quality, and in such situations in can be very difficult to understand what the other person is saying. These AI generated captions are an attempt to solve this issue. One thing that everyone will be wondering is how accurate these captions are going to be. We have seen automatically generated captions before, with YouTube being the biggest example of this. However, none of the auto generated captions that are currently available on various services are very good. Indeed, most of these captions are actually quite bad and do not accurately represent what is being said. If this new feature works the way it is supposed to, it could completely revolutionize things for a lot of people. The deaf community will end up finding Skype a lot more accessible, and this could result in Microsoft finding a whole new audience that would prefer its VoIP client over other options.